Originally Published September 22, 2014. 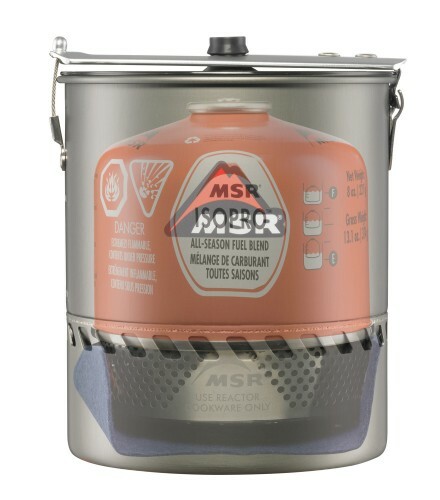 If you are wondering how to choose a backpacking stove that’s right for you, you can always start with a comparison of canister stoves vs. liquid fuel stoves to learn the general options available to you. But you also might want to consider a stove system, which offers some compelling advantages that transcend both categories. All stove systems are in fact canister systems, which means they feature a fuel canister that threads directly onto the stove. However, unlike a conventional, top-mounted canister stove, a stove system is integrated with a specially designed cooking pot to create a compact and efficient unit. Certain stove systems offer additional benefits that traditionally could only be achieved by liquid fuel stoves, including better fuel efficiency, and superior performance in cold and windy weather and at high altitudes. Melting snow in Alaska’s Ruth Gorge with the Reactor Stove System. 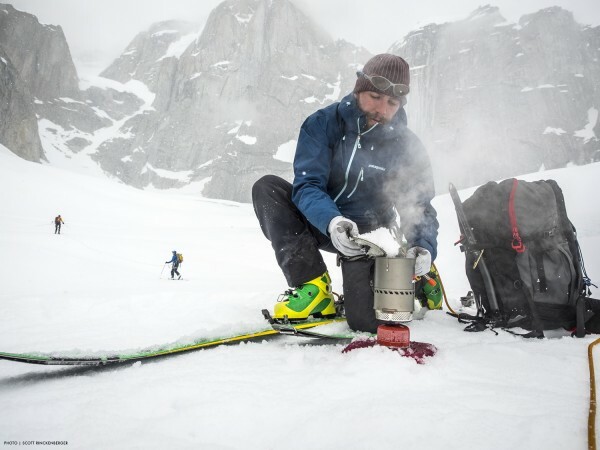 A stove system’s components are designed to work together as a self-contained unit: The pot is specifically designed to attach to the burner head, the lid often locks onto the top of the pot, and in some cases, an insulated cozy fits snugly around the pot, turning it into a personal eat-and-drink mug. A compact, all-in-one stove system is easy to use, convenient in the field, and just as simple to maintain. Such a system is great for melting snow and preparing simple meals, and ideal for solo and minimalist trips. Stove systems may utilize unique burner and heat exchange systems to produce and transfer heat more efficiently than conventional camp stoves. MSR maximizes this efficiency with its patent-pending radiant burner technology, adding radiant light energy to the standard convective heat (i.e. hot air) that stoves with conventional open-flame burners rely on. This radiant energy is transferred from the stove to MSR’s integrated cookware by means of a highly engineered heat exchanger built into the bottom of the pot. 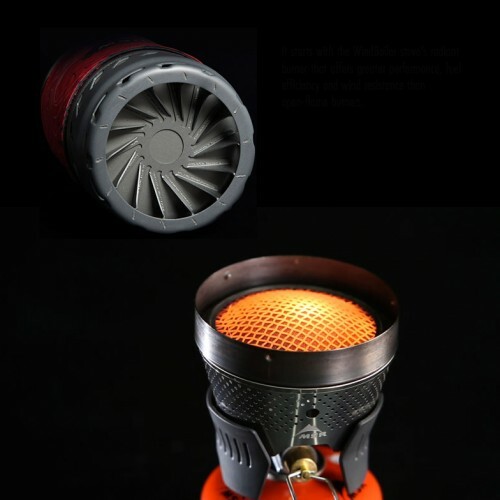 The MSR WindBurner personal stove system’s heat exchanger and radiant burner. Adding further efficiency, the radiant burner featured in MSR’s Reactor™ Stove Systems (and in the new MSR® WindBurner™ Personal Stove System that’s launching soon) is completely enclosed by the pot, making it virtually impervious to outside conditions. 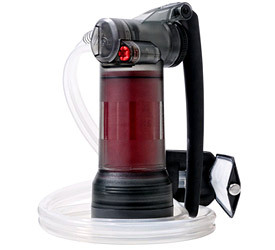 This allows the stove to boil water incredibly fast while using fuel very efficiently. Stove systems are your go-to gear for simplicity and ease of use. Not only can the components be purchased and packed together, but the preparation for use is a streamlined process, with the integrated pot fitting directly on the stove—sometimes even locking into place as in the case of the WindBurner—so you don’t have to waste any time organizing or aligning parts. 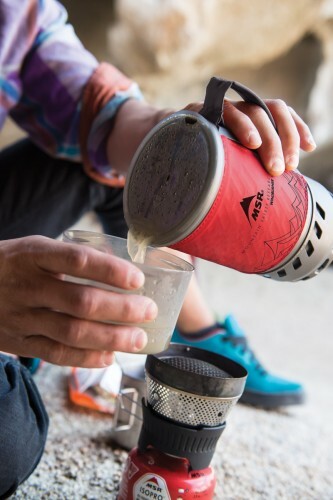 You can quickly move on to boiling water fast, right when you need it, which can make all the difference after an intense alpine traverse or an all-day thru-hike. The packed Reactor 1.7L Stove System. Stove systems typically feature a nested design in which the stove, fuel canister and, in the case of the WindBurner, folding canister stand and extra full-sized bowl, will fit snugly inside (or on) the pot for optimal packing. The components may be cushioned and protected from jostling by a towel, such as the PackTowl® included with the WindBurner. Additional accessories, such as a specially designed coffee press and hanging kit, also fit neatly into the MSR stove systems. Many stove systems work with various sizes of cookware and include optional accessories. Whether you require a small pot just for yourself or a large pot for a group expedition, a modular system lets you plan for the particular trip. 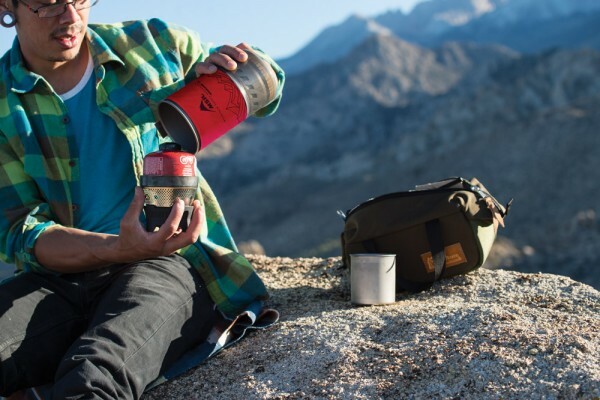 You can further customize your gear with other available accessories, from hanging kits to secure your stove system on a big-wall climb, or a pack-friendly French press that lets you have your morning fix. When you are looking to select a backpacking stove, it pays to research all types of stoves—including stove systems. After considering all the advantages, a stove system may be the perfect stove for you .